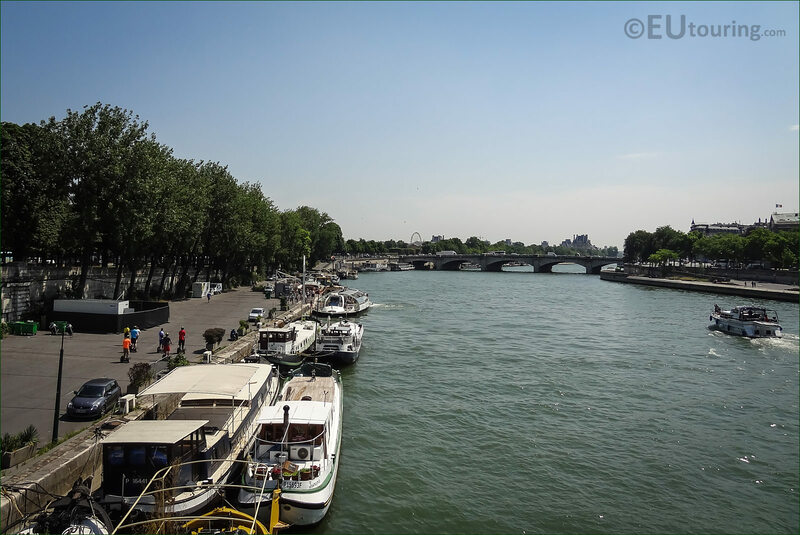 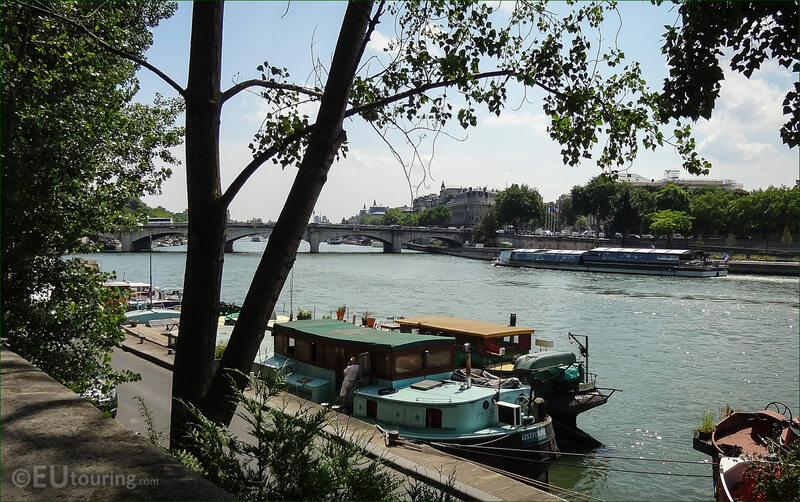 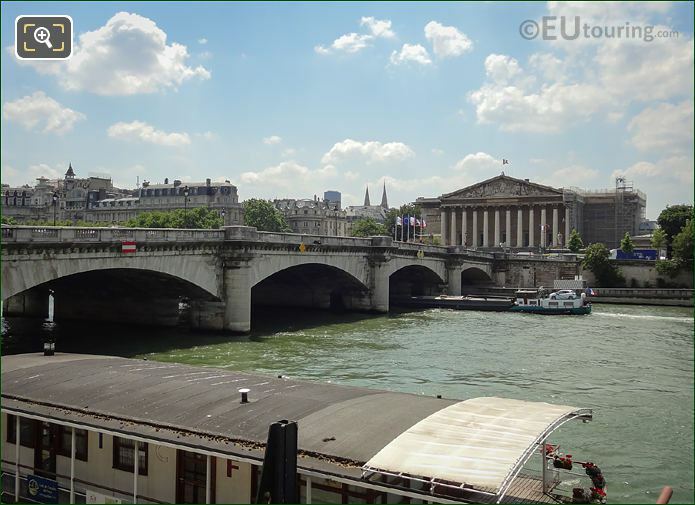 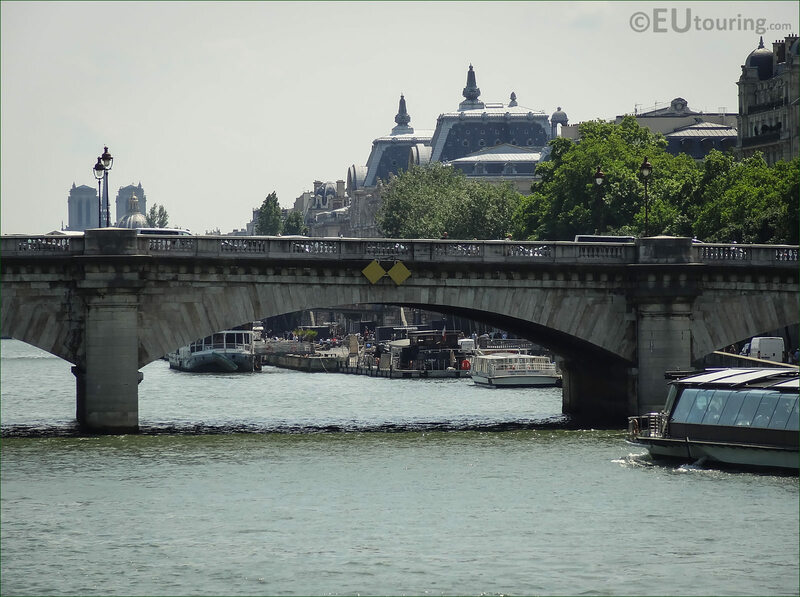 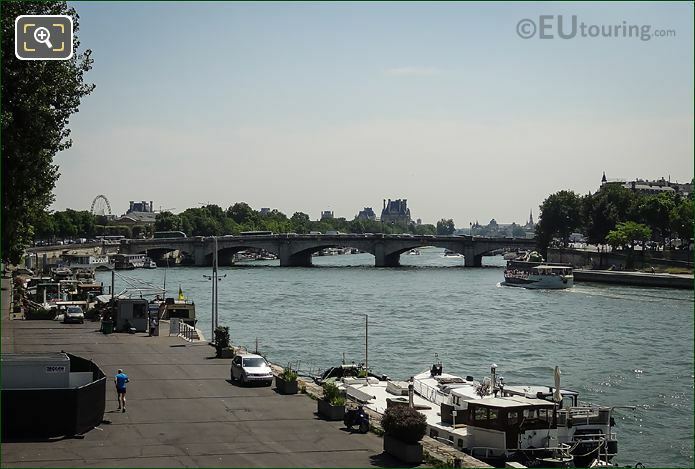 This time we were in the 7th arrondissement of Paris when we took these particular photographs showing the Pont de la Concorde over the River Seine, which connects the famous square called Place de la Concorde to Quai d'Orsay on the other side of the river. We were standing on the Port des Champs Elysees on the right bank of the River Seine, when we took this photo looking upstream towards the Pont de la Concorde, with the Musee du Louvre looming up above the trees in the background. Although the Pont de la Concorde was widened in the 1930s due to a major increase in traffic, as you can tell from this photograph, the bridge has still retained its historical features including the dressed stone, but there are lovely wide paths that make crossing the River Seine safe. 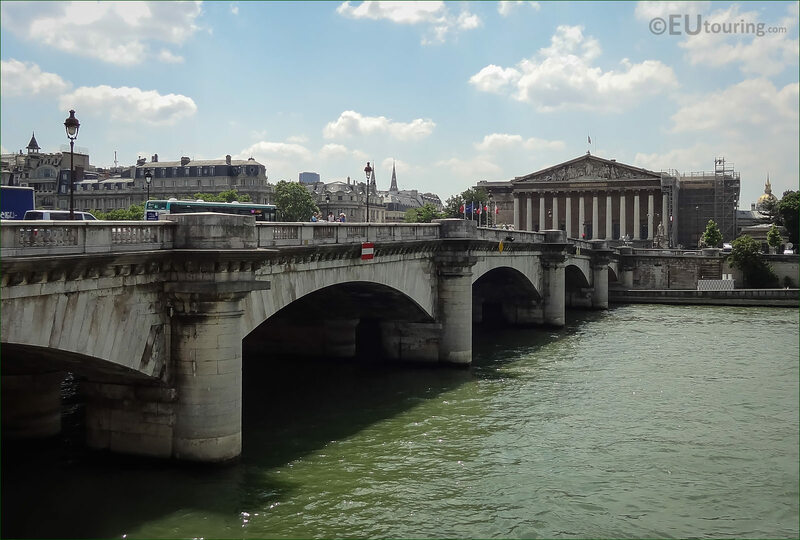 This is a photo of the Pont de la Concorde that we took while standing on the right bank of the River Seine looking over to the left bank at the Quai d'Orsay and the Palais Bourbon with its corinthian columns, which is a parliamentary mansion, home to the National Assembly. 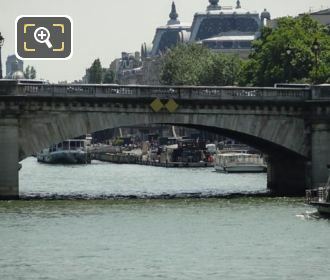 As you can tell from this photograph, this bridge goes over the River Seine at one of its curves through the city, and it goes from the Quai des Tuileries on the right bank, which is actually to the left of the image, and over to the Quai d'Orsay on the left bank, and it was designed by Jean-Rodolphe Perronet. 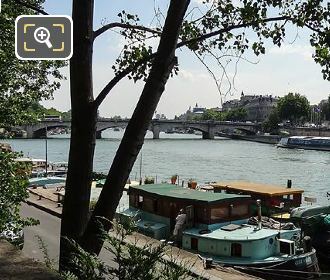 While standing in the shade admiring some of the houseboats, we took this photo looking towards the Pont de la Concorde, however, this bridge was originally named the Pont Louis XVI, yet was changed to the name we know it as today by Napoleon Bonaparte who also had statues added to the bridge at the time, which were removed when his reign came to an end. As you can tell from this photo we took, there are five arches that make up the Pont de la Concorde, which was how the bridge was originally designed in the 1700s, in order to replace a ferry that used to get people across to the Tuileries Palace and the Palais du Louvre from the left bank. 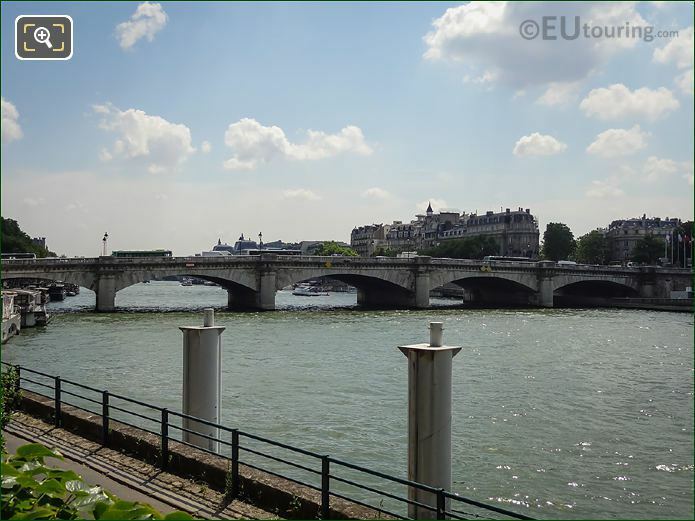 We took this photograph of the Pont de la Concorde looking over to the 7th Arrondissement of Paris with Palais Bourbon standing behind, but you can also see the abutments and stone support piers that travel into the River Seine. 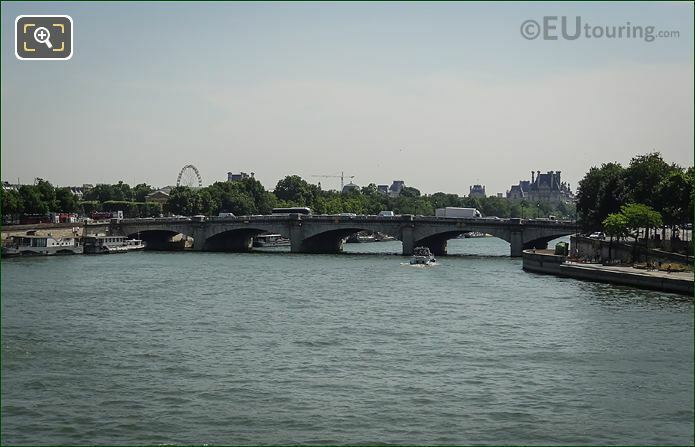 The Pont de la Concorde you can see in the distance in this photo, is classed as one of the historical monuments in Paris, as it was first started back in 1787, however, it was not finished until 1791 after the French Revolution and the storming of the Bastille, because some of the stone from the demolished prison was used in its construction.